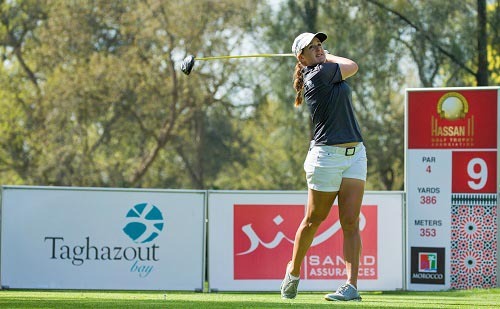 South African Nicole Garcia fired an opening round of four-under-par 68 in ideal conditions to take a two-stroke lead on day one of the Lalla Meryem Cup at Royal Golf Dar Es Salam in Morocco. Garcia made a steady start with 11 straight pars but a run of four birdies in six holes from the 12th put her two ahead of her best friend and roommate, Stacy Bregman, as well as German duo Isi Gabsa and Laura Fuenfstueck. Three of the four players at the top of the leader board have enjoyed success on the South African Sunshine Ladies Tour this season. 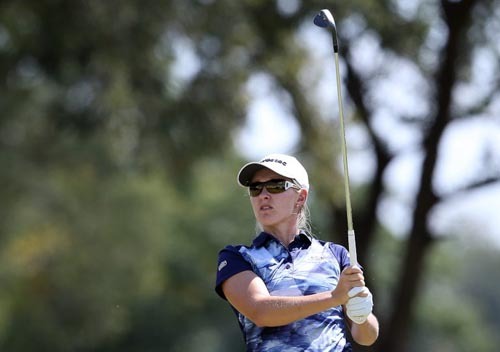 Garcia posted four top 10s finishes, while Fuenfstueck won the SA Women’s Masters in February. Bregman secured the season-opening Canon Tshwane Open and then the Sunshine Ladies Tour Investec Property Fund Order of Merit, following the co-sanctioned Investec SA Women’s Open last month. Garcia and Bregman have practised together at home in Johannesburg every day since then, on courses with kikuya grass, although it was Garcia who had the edge on the opening day in the Moroccan capital. “The grass on the courses here is quite similar to back home and I think that does help, especially around the greens,” said the 27-year-old, who won the LET’s stage one Lalla Aicha Tour School qualifier by 13 shots on the Red Course at Royal Golf Dar Es Salam in 2014 and then tied for second in the 2015 Lalla Meryem Cup at Golf de L’Ocean in Agadir. “Every year I’ve had a few good rounds here and a few tough ones, so I’m hoping it’s going to be more consistent. Garcia said she and LET travel partner Bregman had a bet going that they would both go to Mauritius if they won events this season and as Bregman has already won in South Africa, it’s her turn now. 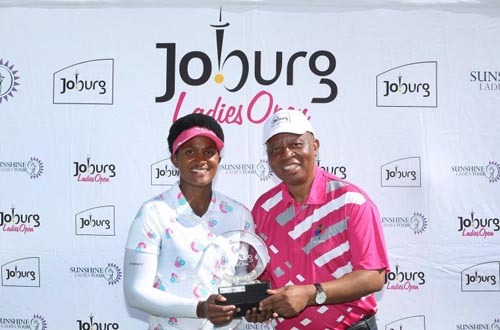 The 23-year-old Fuenfstueck said that her win at San Lameer Golf Resort in South Africa, followed by a top-10 finish on the LET Access Series at Terre Blanche a fortnight ago, had helped her to banish the nerves on the first tee in only her second LET event. Fittingly for a finance graduate, of Charleston University, she said that her goal was to break even this year. Meanwhile, European Solheim Cup team member Florentyna Parker, who played with HRH Prince Moulay Rachid, Chairman of the Hassan II Golf Trophy Association and the Moroccan Golf Federation in the Pro-Am on Tuesday, was a stroke back in a large group of players on one-under-par. The defending champion Klara Spilkova opened with a one-over-par 73 and was happy with her score.